Box security cameras have come a long way and still hold their own within the security camera realm amongst the advanced items currently available. The simple design and execution of the box cameras provide performance without the daunting price tag. Box cameras began as a plain cardboard or plastic box with a lens on one end and film on the other. With advancing technology and ever-changing innovation, box cameras and their relevance in the photography, film and surveillance world has been well established. No need for all the bells and whistles; box cameras and box security cameras get the job done. Early on, photography was rather expensive and time-consuming. In 1888, the Kodak Box Camera was introduced with the tagline being “You press the button – we do the rest.” Simply take a picture with your box camera and Kodak would do the rest. Thus the concept of the “snapshot” was born. However, because of its clear-cut design, there were limitations to the box cameras. Daytime was the best time to utilize box cameras since the entrance of light was restricted. Kodak became a household name and the major contender for photography, film and cameras all thanks to George Eastman. The affordable Kodak Brownie camera was a new type of box cameras introduced in 1900, allowing more people the ability to take up photography as a hobby, thus increasing the market demand. The 20th century was a fruitful time for Kodak and the box camera, which produced many milestones for photography and motion picture. The first 8mm amateur motion-picture film was introduced while color film, motion picture cameras and projectors also made their debuts. These items, along with improved technology, set the tone for box cameras being used for security and surveillance purposes. Box security cameras today still maintain the elementary build. The boxy shape makes box security cameras easy to mount, eliminating most complications with installation. For use indoors or outdoors, box security cameras are versatile and durable, making them great additions to any surveillance system. 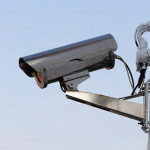 No longer utilizing actual film, the box security cameras are likely to be connected to a digital video recorder (DVR). Box security cameras do not come with a lens; you must purchase that part separately. While some may find this inconvenient, it can be noticeably beneficial. By selecting your own lens, you are free to find the lens suited to your needs. Also, you may purchase various lenses and interchange them with your box security camera as necessary. The advancement of lenses allows for more light to enter, as well as improved focusing due to specified viewing ranges for each lens. While box cameras and box security cameras have evolved over time, the basic concept has remained. The box cameras are reminiscent of simpler times, providing consumers these days an affordable yet sophisticated product utilizing fundamental elements in the form of box security cameras. Consumers seem to fancy the idea of mixing a little old school with new school technology. 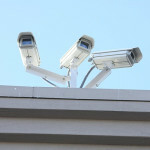 Looking to add box security cameras to your surveillance system? Browse our box security camera selection at SecurityCamExpert.com or give us a call at 1-888-203-6294 and our staff will gladly provide assistance.